ThinLine, with or without shims, protects horses and creates saddle fit. 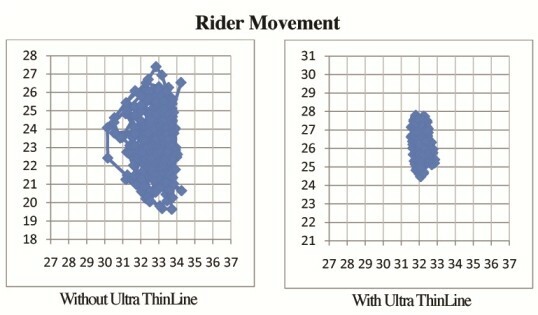 ThinLine pads will often improve small saddle fit issues without shims. If you need to add shims for lift or adjustment they are super easy. Master Saddlers and ThinLine developed a shimming system designed to create custom saddle fit while also providing shock absorbing therapeutic benefits. ThinLine saddle fitting shims are made from the same trademark foam found on ThinLine pads. In addition, shims are easily inserted or removed and stay in place during riding and washing. Now adjusting your saddle also provides more ThinLine comfort. Easily resolve saddle fit issues for horses with hollow or sway back, high withers, saddle balance, mutton withers (rolling saddles), asymmetrical fit, or sore backs. Shims remain in place while washing or riding. Front shim slips in to solve wither problems. Shim Fully Inserted into Pad, Invisible! Create Bridging Fit. Shock absorbing shim fills in gaps. The full, open panel allows you to place shims exactly where you need them. Use up to three pairs of 1/4 inch shims in the same location at once. Underneath the ThinLine layer is a pocket to insert shims. If you need help with minor saddle fit adjustments, purchase your saddle pad and use it alone or add shims. Either way, your saddle will fit better and your horse will use his back better and stay sounder longer. Shims are made of the same therapeutic ThinLine material. Once you place a Thinline saddle pad in your shopping cart you will see below your cart, Add shims to the pad in my cart. Simply add the shims you need. What is ThinLine? ThinLine is a shock absorbing foam which delivers protection for both horses and riders. It is the dual benefits of extraordinary shock absorption and motion reduction that really sets ThinLine apart from other saddle pads. What is ThinLine? ThinLine is a unique, open-cell foam which moves shock, weight, and heat laterally along the pad without compressing. The result is 95% shock absorption. But don’t let all the testing and technology get in the way of what really happens; extraneous motion and impact is nearly eliminated, leading to comfort and a quiet connection for both parties. All this is delivered in a breathable product measuring only 3/16 of an inch (4.6mm) in thickness. Every Saddle Pad comes with this extraordinary technology. English and Western saddle pads also come with a pocket to add saddle fitting shims, also made of the same shock absorbing foam. Nonslip and breathable. ThinLine moves impact laterally instead of up into the rider’s spine. 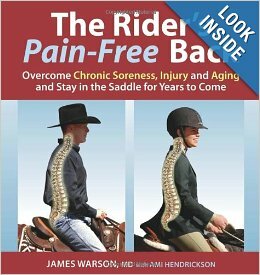 Thus reducing back strain, providing wear and tear protection for riders’ spines while improving equitation and delivering a close contact feel. Improved equitation and shock absorption in an Ultra ThinLine Pad is quite measurable. 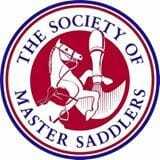 So many horses improve top-line muscle tone by using ThinLine Master Saddlers such as Cordia Person (CSF) who also educates saddle fitters on how to shim with ThinLine. Custom saddles, fitters like Cordia, recommend Basic ThinLine Pads to protect backs and keep saddles fitting until the next check. ThinLine will not alter the fit of custom saddles.